Lisa LaBracio, Animation Director at TED-Ed (the educational initiative of TED Conferences), gives insight on her own journey with art. Do - Howard Hodgkin: Absent Friends | National Portrait Gallery. Absent Friends is the first exhibition of portraits by Howard Hodgkin (1932-2017), one of Britain’s greatest artists. Hodgkin’s paintings are characterised by rich colour, complex illusionistic space and sensuous brushwork. The role of memory, the expression of emotion, and the exploration of relationships between people and places are all fixations. The exhibition surveys Hodgkin’s development of a personal visual language of portraiture, which challenges conventional forms of representation. Until 18th June 2017. Howard Hodgkin - Going for a Walk with Andrew. See - Loewe Exhibition | Liberty. To coincide with London Craft Week, Liberty will host a pop-up showcasing LOEWE: This is Home, direct from Salone de Mobile, Milan’s International Furniture Fair. Curated by LOEWE’s creative director Jonathan Anderson, the exhibition will house a category spanning collection of inimitably designed products, each obscuring the lines between decorative and functional. Coalescing inspiration from various art disciplines, the display offers an exploration of novel forms for the interior, articulated through a mix of materials, hands, techniques and cultural references. 2nd - 21st May 2017. Eat – Clarette | Marylebone, London - The heiress of the renowned Chateaux Margaux estate has just opened Clarette, the ultra-chic three-storey wine bar in Marylebone. The wine list in predominantly French, though there are wines from around the world so there is certainly something for everyone. There is also a selection of sharing plates available to complement the wines. 44 Blandford Street, London, W1U 7HS. Read - Ibiza Bohemia | Assouline. From roaring nightlife to peaceful yoga retreats, Ibiza’s hippie-chic atmosphere is its hallmark. This quintessential Mediterranean hot spot has served as an escape for artists, creatives, and musicians alike for decades. It is a place to reinvent oneself, to walk the fine line between civilization and wilderness, and to discover bliss. Ibiza Bohemia explores the island’s scenic Balearic cliffs, its legendary cast of characters, and the archetypal interiors that define its signature style. Do - The Japanese House, Barbican. While away an afternoon weaving in and out of The Japanese House's ten individual, fully-furnished rooms and maze-like gardens. Rabbit chairs, sliding libraries and an outdoor cinema are just some of the details that make up Moriyama's remarkable domestic environment. Until 25th June 2017. Contemporary Living, Christie's South Kensington. See - Contemporary Living: Art, Craft & Design (April 1st - 4th) at Christie's South Kensington, 85 Old Brompton Road, Kensington, London SW7 3LD. Christie's latest offering in collaboration with The New Craftsmen and Southern Guild features contemporary designers, craftsmen and artists. Open for just four days, the exhibition will change each day with pieces by Sebastian Cox, Georgia Campbell and David Krynauw. Eat - The Marksman Public House. Recently voted Michelin Pub of The Year 2017, The Marksman offers menus inspired by the rich and diverse culinary history of London, focusing on the best of British seasonal food and drinks in a friendly, welcoming atmosphere. Mat Collishaw, The Centrifugal Soul. Visit - Blain|Southern. In The Centrifugal Soul, Mat Collishaw’s forthcoming exhibition at Blain|Southern, the artist presents new sculpture, installation and paintings. Drawing on various forms of illusion, the exhibition explores ideas of superficial truth and the erosive effect of our primal urges for visual supremacy. From April 7th 2017. Read - South and West, Joan Didion. Joan Didion has always kept notebooks of overheard dialogue, interviews, observations and articles. South and West offers a glimpse into her never before seen notebooks, offering an illuminating glimpse into the mind and process of a legendary writer. Go - Do Ho Suh: Passage/s | Victoria Miro Gallery. The exhibition will feature new fabric sculptures conceived especially for the gallery, including a walk-through configuration of Hubs, and a range of work on paper. The exhibition will be the first presentation of Suh's work in London since Staircase-III was displayed as part of Tate Modern's Collection Displays in 2011. See - The Fashion & Textile Museum, Josef Frank Patterns, Furniture, Painting. In the first ever UK exhibition, explore the work of artist and designer Josef Frank. Don't miss the chance to see Frank's stunning designs and colourful brand of modernism. 28th January - 7th May 2017. Eat - Aquavit, St. James's Market. The critically acclaimed and 2 Michelin starred New York restaurant has arrived in London. Aquavit London is a fresh concept that combines signature dishes with sophisticated design, all in contemporary Nordic style. In our opinion, this stunning restaurant would be the perfect place to celebrate Valentine's Day. Read - Travels with Chufy, Sofïa Sanchez de Betak | Assouline. Travel and style influencer Sofía Sanchez de Betak invites readers on a journey to off-the-radar hideaways and secluded retreats where those in the know seek unforgettable experiences. From the savannahs of Kenya to the glacial bays of Iceland to the soaring mountains of Patagonia, Betak shares her favorites: settings where wildlife and adventure abound, the lines between a hotel and its surroundings are blurred, and visitors are welcomed like old friends. David Hockney: Portrait of an Artist (Pool with Two Figures) (1972). As we finally reach the edge of winter and step into some (hopefully) Spring like weather, there are an array of exhibitions coming up that are set to inspire. Most importantly, the upcoming David Hockney exhibition that is opening on the 9th February at the Tate Britain. The display will bring together an extensive collection of Hockney's most famous works, celebrating his achievements across six decades in painting, drawing, photography, print and video. As his 80th birthday approaches, Hockney continues to change his approach and way of working, having experimented with new technologies throughout his career. This is a once-in-a-lifetime opportunity to see a selection of unforgettable works, from his extraordinary portraits to the azure blue LA swimming pools, all the way through to his Yorkshire landscapes and some pieces that have never before been seen in public - this will be, quite simply put, the exhibition of the year in London. David Hockney: Red Pots in The Garden (2000). David Hockney: More Felled Trees on Woldgate, 2008. Hair by Sam McKnight, Somerset House. Eat - Noble Rot Wine Bar & Restaurant. We love the Parisian style wine bar and restaurant Noble Rot. Head over to enjoy their vast wine list, served with a succinct, seasonal British menu. 51 Lamb's Conduit Street, WC1N 3NB. See – Hair by Sam McKnight, Somerset House. Is there anywhere more inviting than Somerset House at Christmas? Enjoy an afternoon at the Hair by Sam McKnight exhibition celebrating McKnights 40 year career. Until 12th March 2017. Visit – Claridges. December is the time to treat yourself. Don’t miss the spectacular room-size Christmas installation designed by Sir Jony Ive, Chief Design Officer at Apple and Marc Newson, one of the world’s most influential industrial designers in collaboration with renowned British set designer Michael Howells. Do – Design Museum. Following a five-year building project, the remarkable new Design Museum in Kensington has opened its doors. The current exhibition ‘Fear and Love: Reactions to a Complex World’ will occupy the space at the museum until 23rd April 2017. Read - Art House, Assouline. Art House takes readers on a breathtaking visual tour of five residences designed to house six hundred works of art, including masterpieces by Marcel Duchamp, Andy Warhol, Donald Judd, Louise Nevelson, Diane Arbus, and Frank Stella. London Design Museum in Kensington. 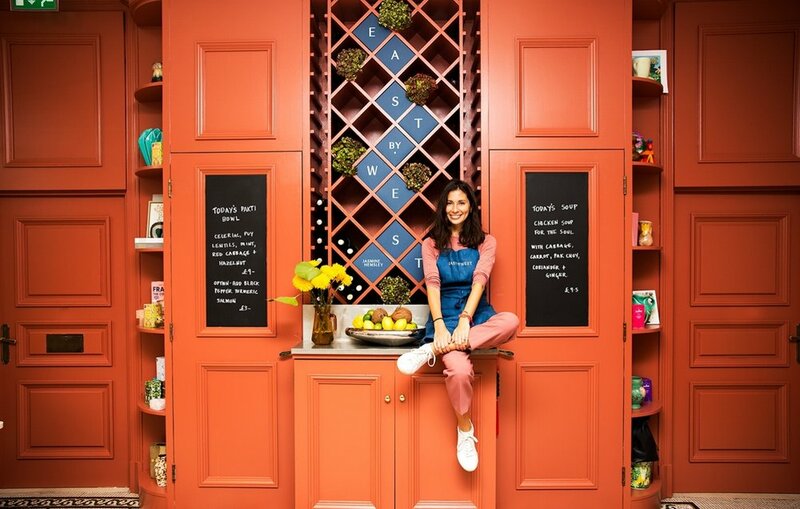 Eat: East by West by Jasmine Hemsley, the best-selling author, chef and entrepreneur has perfectly fused ancient Ayuryedic principles with the best British seasonal ingredients in her latest manifestation, East by West. East by West offers an amazing all day menu overflowing with bold flavours. The restaurant has opened as a pop up within the Maiyet Concept Store on Conduit Street and will be open until the 13th January. East By West, by Jasmine Hemsley. From Louise Bourgeois: Turning Inwards, Hauser & Wirth, Somerset. Read: Trying To Float: Coming of Age in the Chelsea Hotel, by Nicolaia Rips Set in New York’s infamous Chelsea Hotel, this wry and occasionally cutting coming-of-age story gives us an exceptional glimpse into the eccentric world of the Chelsea Hotel, where the author Nicolaia Rips has lived her entire life. Visit: David Bowie Collection, Sotheby's. This November, Sotheby’s in Bond Street will stage Bowie/Collector, a three-part sale encompassing over 350 works from the private collection of legendary musician David Bowie. At the heart of of the sale is a remarkable group of more than 200 works by many of the most important British artists of the 20th Century, including Frank Auerbach, Damien Hirst, Henry Moore and Graham Sutherland. On display to the public from 1st November – 10th November. From The Bowie Collection, Sotheby's. See: Rodin and Dance, Courtauld Gallery, Somerset House. Head over to The Courtauld Gallery to view the first major exhibition to explore Rodin’s fascination with dance and bodies in extreme acrobatic poses. The exhibition explores a series of experimental sculptures known as the Dance Movements made in 1911, offering a rare glimpse into Rodin’s unique working practices. From 20th October 2016 – 22 January 2017. To celebrate their support of Agnes Martin at the Guggenheim Museum in New York, COS have created a limited-edition capsule collection. COS x Agnes Martin Capsule Collection, 2016. The collection features 12 items for women and men, inspired by the minimalist and abstract expressionist artist’s work. Well, we can’t think of a better collaboration. Martin’s soft palette and refined details correspond perfectly with the COS brand, who are well known for their minimal aesthetic. The collection is reminiscent of Martin’s light colour wash canvases as well as the loose fit workwear she wore when in the studio. Just like in her work, the new COS collection is soothing and meditative, with subtle design details and interesting prints. We love the waffle knit jumper (softer than soft) and the folded wrap over skirt. The latter of which we can image Martin wearing at dusk in her studio in New Mexico. COS x Agnes Martin – On display at the Guggenheim New York and available in selected London stores and online now. Frieze London and Frieze Masterpiece: Regents Park, 2016. Go – Frieze London & Frieze Masterpiece, Regents Park. Looking for some inspiration this October? Don’t miss Frieze London and Frieze Masterpiece featuring more than 160 modern galleries and more than 130 leading historical galleries. 6th-9th October 2016. Read – Chic Stays, Assouline. Ever wondered were Kate Moss and Sofia Coppola love to stay? Look no further, Assouline’s latest book Chic Stays takes you on a tour of the world’s most beautiful hotels with your favourite writers, musicians, models and actors. Visit – Turner Prize, Tate Britain. Established in 1984, the Turner Prize is renowned as one of the most prestigious international visual arts awards. It will be awarded in December to an artist under fifty, born, living or working in Britain. This year’s four shortlisted artists for the Turner Prize 2016 are Michael Dean, Anthea Hamilton, Helen Marten and Josephine Pryde. We love this brick suit by Anthea Hamilton. See – The Vulgar: Fashion Redefined, The Barbican. The Vulgar: Fashion Redefined is the first exhibition to explore the thought-provoking but utterly compelling territory of taste in fashion. Drawn from major collections worldwide, the exhibition showcases over 120 exquisite objects, with contributions from prominent designers such as Christian Dior, Muiccia Prada and Philip Treacy. Opens 13th October, 2016. Eat – Yosma, Marylebone. We love the newly opened Yosma in Marylebone. If the super sleek décor wasn’t enough, the menu of fresh fish and revitalizing salads will keep you going back for more. 50 Baker Street, London, W1U 7BT. This year the National Portrait Gallery will display more than 80 portraits by Picasso that feature those he knew and loved. The portraits feature his wife Olga Picasso, friend and modernist Jean Cocteau and composer Igor Stravinsky. The exhibition follows his journey from early realism to cubism, neoclassicism and surrealism, including the famous Woman in Hat (Olga). The exhibition will be the first major presentation of Picasso’s portraiture in 20 years.